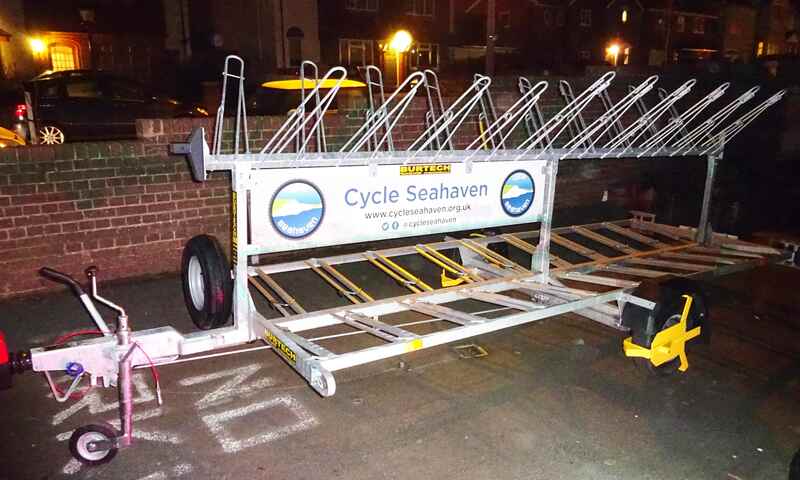 Cycle Seahaven has a bike trailer capable of carrying 24 Road or MTB bikes, or a combination of both. It is available for use by any club member and approved outside organisations. Booking and using the trailer is straight forward and simple. The following page and links provide all the information you will need to ensure its successful and trouble-free use. Who can use the trailer? Any member of Cycle Seahaven. 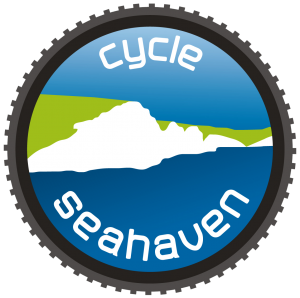 Can non-members of Cycle Seahaven use the trailer or can Cycle Seahaven members use it for events not involving the club? Please contact the committee with details of your request for their consideration. Can I use my own vehicle to tow the trailer? Yes. If your vehicle has a tow bar fitted and you have a DVLA approved number plate to put on the rear of the trailer. Can I drive and tow the trailer myself? Who is responsible for the insurance of the trailer and tow vehicle? The driver of the towing vehicle must ensure their own insurance covers its use. Most policies provide cover as standard but if in doubt check with your insurance company. What if my vehicle isn’t suitable for towing the trailer or I don’t have the appropriate licence? The Seaford Lions Club have a 13 seater and 11 seater minibus available for community groups such as Cycle Seahaven. Both vehicles are fitted with tow bars and can be driven by Cycle Seahaven members holding the appropriate DVLA licence category. The Lions Club suggest a donation of a pound per mile (divisible by the number of passengers) which covers the cost of insurance and wear and tear. The minibuses should also be returned refuelled after use. It is possible to negotiate a Lions Club driver for a fee. The contact number for minibus use is 01323 898961. What is the capacity of the trailer? How long does it take to load and unload the trailer? Allow roughly 5 minutes per bike to load and secure it to the trailer and 1 minute to unload it. Please note road bikes with carbon rims and/or racing tyres require padding to protect them from rubbing on the metal of the trailer which can cause damage to the bike. If I want to use the trailer who is responsible for arranging everything? The person or ride leader requesting use of the trailer is responsible for all the arrangements. This would include finding a driver, selecting pick up points/times, estimating costs, collating the number of participates, etc. What does it cost to use the trailer? 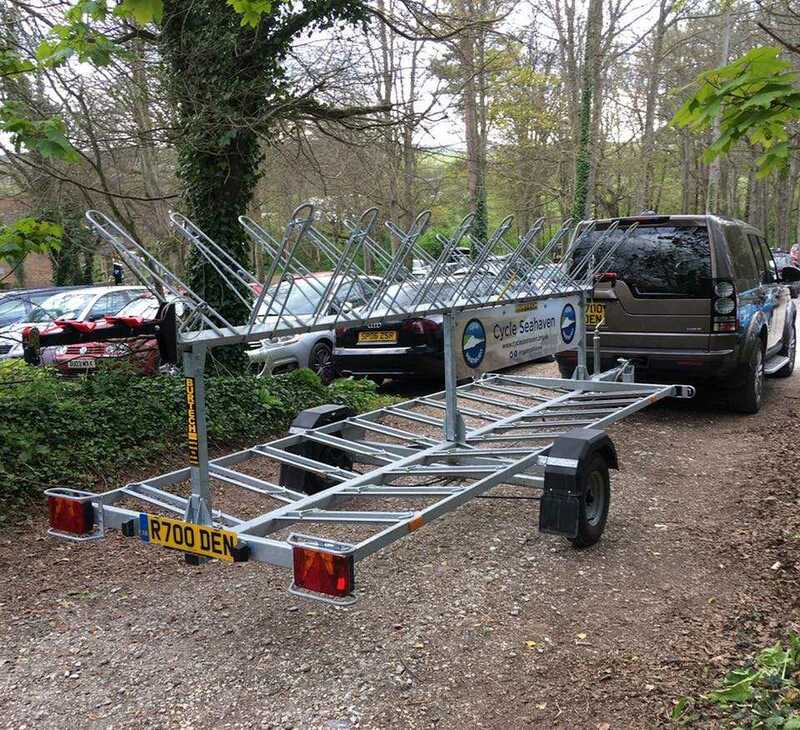 There is no cost to the person requesting use of the trailer but there is an individual cost for each member placing their bike on it. There is a standing fee of 50p per bike, for trailer maintenance, which is payable to the committee. There is also a suggested cost of 20p per mile (which is divided by the number of people using the trailer) which is payable to the driver. Both amount are paid as one transaction into the club’s account or can be collected by the ride leader if they are happy to do so. In the case of the former the Club Treasurer will reimburse the driver. The more people that use the trailer, the cheaper it is per person. For example: 20 people would pay 1p per mile, each, per bike. 10 people 2p per mile, each, per bike. For 5 bikes the amount is 4p per mile, each, per bike. 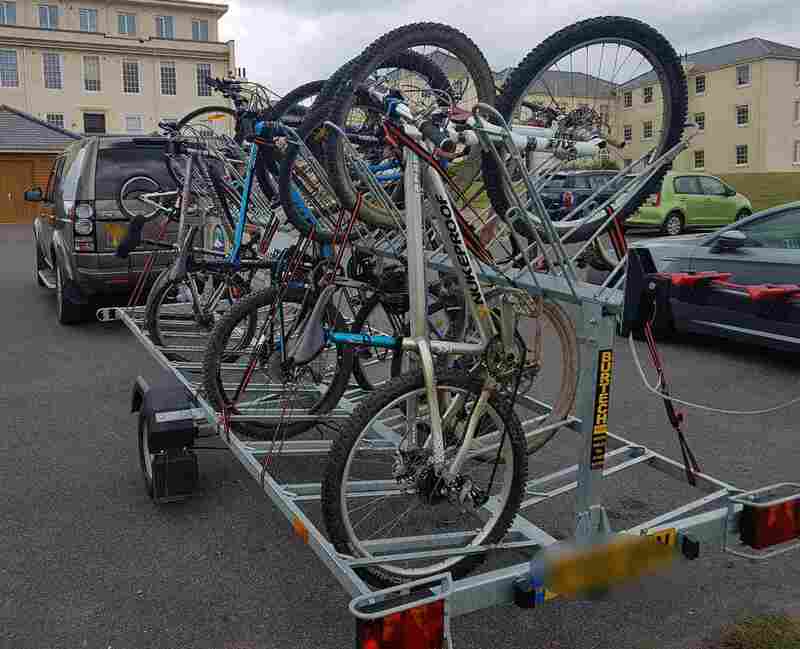 Event examples – Trailer to Bedgebury, a round trip of 80 miles with 10 bikes = £2.10 per bike carried. Use of trailer for London to Brighton Bike ride, a round trip of 130 miles with 20 bikes = £1.80 per bike carried. How do I know the cost per mile if I don’t know the number of people wanting to use the trailer? It may be difficult to predict this so we would recommend that you advertise your ride based on 10 people, which would cost them 2p per mile and 50p per bike. If the number of users is halved then the cost per mile is double. So we would suggest you post the ride or event stating variable costs for example 20 people would be ‘X’ amount, 10 people would be ‘Y’ amount and 5 people would be ‘Z’ amount. This would give people a best and worst case scenario. Setting a cut-off date a few days before the ride would then enable you to tell everyone exactly how much they need to pay. Do I have to follow the pricing guidelines or can I simply fix a price and get participants to agree? Yes, you can do this provided the 50p per bike is payable to the committee for trailer maintenance. How do members pay for using the trailer? Payments can be made via BACS (Cycle Seahaven, Lloyds TSB Bank plc, sort code 30-65-37, account no 22902360), in person in cash/cheque at Mr Cycles or by using mobile payment (payM) to 07788428082. Please text or email denis.bass@cycleseahven.org if using payM to tell him what the payment is for. When should payments be made? 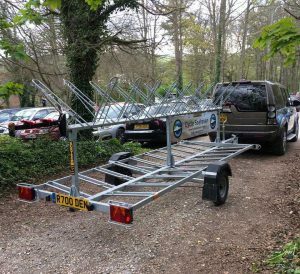 The organiser should arrange a cut-off date a few days before the event to ensure that everyone has paid before using the trailer. This will also enable the organiser to establish exactly how many people are going and the cost per person, per bike. Can payments be refunded if someone who wants to attend the ride doesn’t show up or cancels? No. If someone pays to use the trailer but is unable to attend the ride the payment will not be refunded as this will increase the cost to the remaining members and will complicate the payment process for those that have previously paid. What happens if the ride leader, event organiser or bad weather cause the event to be cancelled? In this instance money will be refunded to all those that have paid. How do I book the trailer? The trailer should be booked through Denis Bass (treasurer@test.cycleseahaven.org.uk). Can I take the trailer abroad? Yes. Ferry or Eurotunnel fees, together with any other additional expense (continental insurance etc.) should be factored into the final cost; these will not be paid by Cycle Seahaven. Who is responsible for any parking fees incurred when parking the trailer? The event organiser should factor this into their calculations for the trip and divide the cost amongst the number of people using the trailer. What is the procedure for collecting the trailer? What happens to any surplus money from the trailer maintenance account at the end of the year? Any under-spend will be donated to the club’s nominated charity.